The goal of our website is to get information about Maryland automobile accident into the hands of those who need it--new lawyers, consumers, and even insurance adjusters. If you are trying to better understand the path to compensation, you are in the right place. We have hundreds of pages devoted to the law governing car accident claims in Maryland. This page summarizes that law. There are deadlines in every kind of claim, whether it is for personal injury (lawyers call these torts), contracts or anything else. While most tort claims have the same statute of limitations, the method of calculation often depends on the facts of the case. Likewise, for certain governmental and quasi-governmental agencies, very distinct types of notice may be required, sometimes within 180 days, to preserve the right to bring a claim. The most important deadline is the statute of limitations. For most Maryland automobile accidents, a lawsuit must be filed within three years of the crash. So, if an accident happened on June 1, 2017, the lawsuit must be filed in court by June 1, 2019. If the deadline date falls on a weekend or other day that the courts are closed, the case can be filed on the next day that courts are open (Maryland Rule 1-203(a), Maryland Code Art. 1, 36, Yingling v. Smith, 259 Md. 260 (1970)). Just a word of advice--don't wait until the last minute to file suit for personal injuries or wrongful death. If you have a case, get a lawsuit filed long before the statute of limitations expires. We frequently field calls from victims who spend a long time negotiating with the insurance company, realize they won't be able to settle the case for full value, and come to us a day or two before the limitations period. The reality is that most lawyers will not want to get involved in a case on such a short deadline. Cases are always more complicated than you think, and even the simplest of auto accident cases need research to file the claim. If you were in an accident and find yourself in that position, you should talk to a lawyer at least six months before the limitations period. The closer you get to the deadline to sue, the less negotiating the insurance adjuster will do. Why? Because they know it is hard to find a lawyer as time gets shorter. The primary exception is for minors. Children (those under the age of 18) have until they turn 21 to file a lawsuit. The deadline to file the lawsuit expires on the 21st birthday (before 2005, it expired the day before the 21st birthday). If the person was born on February 29 and the 21st birthday is not in a leap year, the deadline to sue is March 1. (Mason v. Board of Education of Baltimore County, 375 Md. 504 (2003), overruled by Maryland Code, Article 1, 37.) Now, these deadlines all apply to standard accident cases. 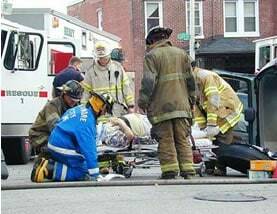 Sometimes, accident victims must make a claim against their insurance company for uninsured or underinsured benefits. These are breach of contract claims--the victim argues that his insurance company should pay up because of the accident and the injuries. There is also a three-year time limit in these cases. But the limitations period is calculated from the date the victim knew or should have known that he had a claim against the insurance company. Click here for more on the statute of limitations. So many cases go up in flames because victims or their lawyers do not understand the intricacies of Maryland law. There are two critical deadlines for personal injury protection (PIP) claims. Briefly, PIP (sometimes called correctly and incorrectly Med Pay is insurance that will pay a certain amount of money for medical expenses and lost wages regardless of fault. In Maryland, the accident victim must submit a PIP application within one year of the crash, and can only seek reimbursement for expenses incurred within three years of the date of the accident. Notice issues are tricky, particularly because it can be confusing for lay people and lawyers to know whether the potential defendant is a governmental entity or employee. The notice must be given to specified individuals and must contain particular information about the claim. Failure to provide timely and proper notice can completely bar a future claim. For cases against the State of Maryland, written notice of a claim must be given within one year of the injury (Maryland Code, State Gov. 12-106). Even if the State was not prejudiced by the failure to give notice, a plaintiff who failed to give such notice automatically loses the claim (Williams v. Maryland Dept. of Human Resources, 136 Md. App. 153, (2000)). Notice is required within 180 days (about six months) in claims filed against local governmental entities, like Baltimore City and Prince George's County. Importantly, the list of such entities defies broad categorization--there are 28 types of entities included per Cts.&Jud. Proc. 5-301(d), including most community colleges and Lexington Market, Inc (believe it or not). The tolling statute (extended time to file a lawsuit) for minors does not apply to the Maryland Tort Claims Act (Johnson v. Maryland State Police, 331 Md. 285 (1993)), or to the Local Government Tort Claims Act (Rios v. Montgomery County, 386 Md. 104 (2005)). In a local government, tort claims act case, you can try to argue "good cause" for missing the notice deadline per Courts and Judicial Proceedings 5-304(d), but being a minor plaintiff does not constitute good cause. Maryland law requires a different type of notice in claims where the negligent driver is either uninsured or cannot be located. These are claims made to the Maryland Automobile Insurance Fund (MAIF), through their Unsatisfied Claim and Judgment (UCJ) division. There is a 180-day notice requirement, with particular provisions and forms that must be filled out. Most automobile accident lawsuits are claims for negligence, which means that someone did something wrong. This could be because the negligent driver ran a red light, didn't pay attention and rear-ended a stopped car, or made an unsafe lane change. The standard for a judge or jury to determine whether a driver was negligent is summarized in a single question: did the driver act as a reasonable driver in similar circumstances would have acted? If not, and if that action (or inaction) caused injury, the negligent driver is responsible. In some cases, violation of the law can be evidence of negligence (this is called negligence per se). For a judge to decide that the violation of the law is ample proof of negligence he must find that the law was designed to prevent the type of harm that occurred. A negligent entrustment claim is usually against the owner of a vehicle for giving permission to another person to drive the car, where the owner knew or should have known that the driver was likely to cause harm to others. These types of claims often occur when an owner knows that the driver has an extensive list of accidents; or when a trucking company hires a driver without doing a proper driving background check. If that driver causes an accident, the automobile accident victim may have a claim for negligence against the driver, and negligent entrustment against the owner. In most cases, the available insurance will be the same for both claims and the negligent entrustment claim falls away. However, these claims can be significant to show irresponsible behavior by the car owner, which often help to increase the settlement and trial values of a lawsuit. Permissive use is not a cause of action, but rather an issue of insurance coverage. If the driver did not have express or implied permission to drive the car, the owner's insurance company is likely to deny coverage for the accident. Click here for more on negligent entrustment claims. Respondeat superior is the principle of agency, which means that one person (or corporation) is vicariously responsible for the actions of another. This usually applies to employees--if a truck driver gets into an accident, the victim will file a lawsuit against the driver for negligence, and against the trucking company for respondeat superior. 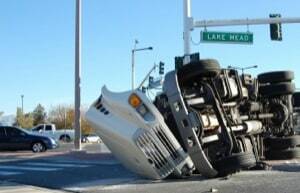 In that scenario, the trucking company is responsible for all of the actions of the driver. For more on respondeat superior, click here. Although most automobile accident lawsuits are grounded on claims of negligence, there is one subset of claims that relies on a breach of contract principles: uninsured/underinsured motorist claims. When a negligent driver is uninsured or has less insurance than the auto accident victim, the victim may make a claim to his insurance company for UM/UIM coverage. The argument in this type of lawsuit is that the insurance company is not willing to pay what it should, according to the insurance policy, so it is a violation of the insurance contract. Wrongful Death: brought on behalf of the beneficiaries--usually spouse, children, or parents. Eligible beneficiaries can claim non-economic damages, including their mental anguish, emotional pain, and suffering, loss of society, companionship, comfort, protection, marital care, paternal care, filial care, attention, advice, counsel, training, guidance or education. Beneficiaries can also claim economic damages, including the future lifetime wages that were lost. These lawsuits must typically be filed within three years of the death though it can sometimes be extended where the cause of death was not reasonably known or knowable. Learn more about wrongful death cases in Maryland. Survivor Action: a survival action is brought by the estate, led by the personal representative of the estate. This claim cannot be brought in all cases but applies when there was some injury, other than death, suffered by the victim. These damages include medical expenses, pre-impact fright, and conscious pain and suffering between the accident and the death. Click here for more on survival actions. Maryland is one of five jurisdictions that still has the old holdover rule on contributory negligence. The fundamental principle is that a victim whose own negligence contributed in any way to his injury is not allowed to recover in a personal injury case. The way it works at trial is that the jury is first asked to decide whether the defendant was negligent. For example, in a pedestrian accident case, a jury might determine that the driver was negligent by driving at an unsafe speed on a rainy night. Then, the jury has to decide whether the victim was also negligent. In the same case, the jury could decide that the victim was negligent for failing to cross the street at a crosswalk. In Maryland, any negligence by the plaintiff prevents recovery. Even if a jury believes that the defendant was 99% negligent, and the plaintiff was only 1% negligent, the plaintiff loses the case. Most other states have comparative negligence law. The way it usually works is that the jury decides the percentage of fault, and reduces the damages award by the plaintiff's negligence. So, a plaintiff who was 1% negligence would only get 99% of the overall verdict. 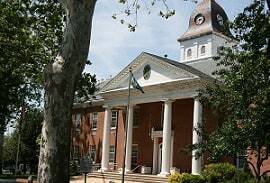 Maryland's highest court, the Court of Appeals, confirmed in 2013 in a case called Coleman v. Soccer Association of Columbia, that contributory negligence remains the law of the land in Maryland. The auto accident victim's last shot to win a case where contributory negligence is a viable defense is through last clear chance. For last clear chance to apply: (1) the defendant must have been negligent, (2) the plaintiff must have been contributorily negligent, and (3) the defendant must have had some "fresh" opportunity to avoid the consequences of the negligence (Nationwide Mutual Ins. v. Anderson, 160 Md. App. 348, 356 (1995)). For more on contributory negligence, click here. These cases typically require a large amount of discovery to determine whether the defendant is telling the truth. Lawyers should examine their cell phone records for evidence of calls or texts at the time of the accident. Smart counsel will subpoena medical records to determine whether the defendant's medical condition was known before the crash. If it was, a jury may agree that the defendant should not have been driving because of the risk of the sudden medical emergency. Finally, it may be worthwhile to have the driver examined by a doctor to determine if there was a medical condition that caused the incapacity. 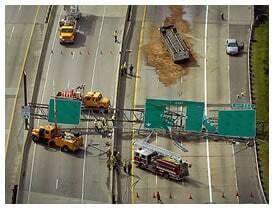 There are usually two insurance companies involved in Maryland automobile accident claims. The first is the insurance company of the adverse driver. If the claim is proved, that insurance company is responsible for paying all related damages, including medical bills, lost wages, and pain and suffering damages. The other insurance company is the one that provides insurance for the vehicle the victim was in (usually--in a pedestrian accident PIP insurance is available through the negligent driver's insurance company). Depending on the terms of the insurance policy, personal injury protection (PIP) may be available to pay for lost wages, medical expenses, and related expenses. Most PIP policies in Maryland provide $2,500 in coverage though some insurance companies will allow a total of $10,000 in coverage (usually in combination with medical payments, or "MedPay" coverage). Some people waive PIP coverage--we think this is a bad idea, particularly because this insurance is usually very inexpensive. For a waiver to be valid, there are very specific requirements. However, PIP cannot be waived for passengers age 16 and under. Also, PIP is not available for bus, taxi and (usually) motorcycle accidents. The main advantage of PIP is that it helps to pay bills and lost wages almost immediately--usually within a month of submission of the medical bill. This can assist victims a tight spot by giving them some portion of lost wages to meet regular bills, or by paying medical bills if there is no health insurance available. The other advantage of PIP is that it increases the amount of money a victim can receive in an automobile accident settlement or lawsuit. Because of Maryland's collateral source rule, victims can double-recover the same items of damage through PIP and from the negligent driver's insurance company. For more information about Maryland personal injury protection claims, click here. Uninsured motorist coverage (UM): this protects you from collisions with uninsured drivers and hit-and-run accidents. In such an accident, your insurance company will step in and be responsible for your injuries and damages. Underinsured motorist coverage (UIM): if your UIM insurance limits are higher than the negligent driver's liability limits, you may be able to recover the difference between the two from your insurance company. The way it works is that you may get the full policy from the negligent driver, and then make a claim against your insurance company for the amount of your UIM policy, minus the amount already paid. Of course, your damages and injuries must be sufficient to support whatever the total policy limits are. These cases are treated as a breach of contract claim, and the deadline to file them is calculated a little differently from other automobile accident claims. The claim must be brought within three years from the date the insured knew or had reason to know that he had a claim against his insurance company. Click here for more information about Maryland uninsured and underinsured motorist coverage. If the victim of a hit-and-run accident has uninsured (UM) motorist coverage, that policy can provide a source for money damages. If there is no insurance available, the victim can make a claim through against the Maryland Automobile Insurance Fund (MAIF) through their unsatisfied claim and judgment (UCJ) division. Commonly called UCJ cases, there is a limit on the recovery--claimants are now able to recover a maximum of $30,000, regardless of the extent of injuries. MAIF has money to pay these claims because some money from traffic citations and fines is devoted to helping people who have no other source of recovery. However, MAIF is notoriously difficult to deal with, and they tend to deny most of these claims, or else offer very small settlements. When they do settle, it tends to be on the courthouse steps. There are critical deadlines in UCJ cases--very concrete and detailed written notice must be given to MAIF, usually within 180 days (about six months) after the accident. They require an affidavit, description of the crash, medical records and bills or funeral expenses, evidence of property damage, and other information. Failure to give them what they want can lead to a claim denial. Damages is the word that lawyers use to describe the items of recovery in accident cases. It includes all of the victim's harms and losses, from lost wages and medical expenses to pain and suffering. Most of these are easy to calculate. It can get a little harder with auto accidents that cause severe, permanent injury. It may be necessary to include the cost of future medical care, which can never be precisely known. Under our system of justice, however, it is only necessary to compute what is more likely so than not so. There is no limit on how much non-economic damages that can be claimed or collected in a personal injury case through the available insurance frequently serves as a practical "cap." Click here for more on economic damages in Maryland personal injury cases. There is no calculator capable of adding up these damages and spitting out a dollar amount. Instead, their calculation depends on the impression of the judge or jury who decides the issue. What do they think of the plaintiff? Do they understand the impact the injury has had on the victim? Do they believe experts who testify about the future pain and other damages? How much money is it all worth? Good lawyers can tell you the probabilities in any case, and we can compare the verdicts typically received in various jurisdictions. However, the final number for noneconomic damages is very case-specific. Finally, there is a limit on the amount of non-economic damages that can be awarded in a verdict. Maryland has a cap that is determined by the year of the injury--for 2017 accidents (actually accidents between 10/01/16 and 10/01/17), the maximum amount of non-economic damages in a single case is $830,000. If a wrongful death claim is added, another cap of $1,245.000 is added (if there are two or more wrongful death beneficiaries). The total is $2,075,000. The cap is different for medical malpractice cases. Punitive damages are designed to punish the defendant for bad behavior. Maryland allows for punitive damages when the defendant's act constitutes actual malice, meaning that it was malicious, the result of evil motive, or that that defendant intended to cause injury. This is a high standard, and even in the worst drunk driving cases, punitive damages have not been awarded for automobile collision cases. One of the problems is that if the defendant intended to injure the plaintiff, it would be an intentional tort, and there would likely be no insurance coverage. There have been efforts to pass legislation permitting punitive damages for drunk driving cases, but that legislation has not yet passed. Click here for more on punitive damages. The plaintiff in an automobile accident has PIP insurance, which pays all of his medical bills. The negligent defendant is still liable to pay for those damages. The defendant should not benefit from the plaintiff's payment of insurance premiums. The plaintiff in an automobile accident had sufficient sick time or vacation time to ensure that he did not lose any wages while injured from that accident. The negligent defendant must still pay for the time missed because the plaintiff has lost his use of those sick and vacation days. The plaintiff in an automobile accident does not have to pay any medical bills because his health insurance picks up the tab. The negligent defendant still has to pay the full amount of those medical expenses, because the plaintiff had to pay premiums to get that benefit. Also, if the plaintiff recovers from the defendant, he will likely have to pay a portion of those expenses back to the insurance company (click here for more on medical liens). Many insurance adjusters either don't know about the collateral source rule (not all states have this rule) or else they try to trick unrepresented auto accident victims by attempting to convince them that if some bills have been paid, they cannot be paid again. Click here for more on Maryland's collateral source rule. Joint and several liability is an issue where there are multiple defendants in the same case. If each defendant caused the injury in some way, then each defendant is responsible for the full amount of the verdict. If one defendant pays the entire judgment, for example, he can seek contribution from the other defendants for the portion they would be otherwise responsible for. This is often an issue in medical malpractice cases but does come up regularly in more complicated automobile accident cases, too. Getting medical records into evidence is usually accomplished in one of two ways. For cases where the plaintiff limits his recovery to $30,000.00, a plaintiff is allowed to present medical records and bills directly to the jury. The process is permitted because of Courts and Judicial Proceedings 10-104 and 10-105, as long as the plaintiff shows the records to the defendant at least 60 days before the trial. This is an inexpensive way of doing things--there is no need to call in an expert to testify about the meaning of the records. It is usually used in bench trials, like district court cases, where the judge decides all issues. It can be used in jury trials though jurors have less experience reading medical records and may have a harder time evaluating them. The second method is through expert testimony. If a medical expert testifies that they are pathologically germane to the patient's medical condition, it will likely be permitted. Records and facts that help the judge or jury understand the patient's condition, diagnosis or treatment are typically allowed. When an employee is injured while on the job, he will usually be allowed to file a workers' compensation claim against his employer and his employer's insurance company. This is typically the only type of claim permitted against the employer, regardless of whether the accident and injury were the company's fault. If the damage was caused by a third-party, the injured can also (and simultaneously) make a claim against that third-party. The two claims are mostly separate, but the workers' compensation insurer will be entitled to recover some of the proceeds from the third-party claim. This is fair because if negligence caused the accident, the innocent employer (and insurer) should not be penalized. Typically, the insurer will reduce the amount owed. For more on Maryland workers' compensation injuries, click here. If you have been seriously injured, and we handle only serious injury claims, you need counsel with the experience to sort through your complicated legal and medical issues and stand up to the insurance companies. We fight every day of our professional lives for fair compensation - and then some - for the victims of car accidents, truck accidents, and motorcycle accidents. Call 1-800-553-8082 to speak to a Maryland accident lawyer experienced in handling auto accident claims or get a free online no obligation consultation requesting information or a phone call.